Here at Green Pet, we offer all sorts of services and products that help keep your four-legged friend's negative environmental impact to a minimum! We specialize in all things where pet and environmentally-friendly meet. That’s where you’ll find Green Pet, ready and waiting with a smile (and a pooper scooper!). Don’t have a backyard or you’re diligent about picking up after your pet every time he or she goes potty but still want to help the environment and keep plastic bags and pet waste out of the landfills? No problem! You can still do that with our bucket collection service! We’ll provide you with a bucket lined with a compostable bag for you to collect your pet’s waste in and once a week, we’ll haul it away and leave a clean one in its place. Bucket service is $6.45 for a 2-gallon bucket and $7.75 for a 5-gallon bucket. Additionally, for our cat parents, we offer a kitty litter collection service. It works like the 5-gallon Bucket Service but adds 3 lbs of compostable litter for an additional $5 or 6 lbs for $9. You and your cat can help our environment, too! Our company helps pet businesses as well. Doggie day cares, boarding facilities, pet-friendly multi-unit residential buildings, and any business that caters to their four-legged clientele can all benefit from our services. This is the branch of our company that deals in the actual compost we create. After collecting your dog’s or cat’s poo, our cleaning service delivers all of its waste to our central processing plant in the Kitsap Peninsula. This is where our compost company turns it all into safe (pathogen-free), nutrient-rich, and environmentally-friendly compost! Did we mention it’s odor-free?! Our compost is available for purchase for your commercial and residential needs at competitive prices. 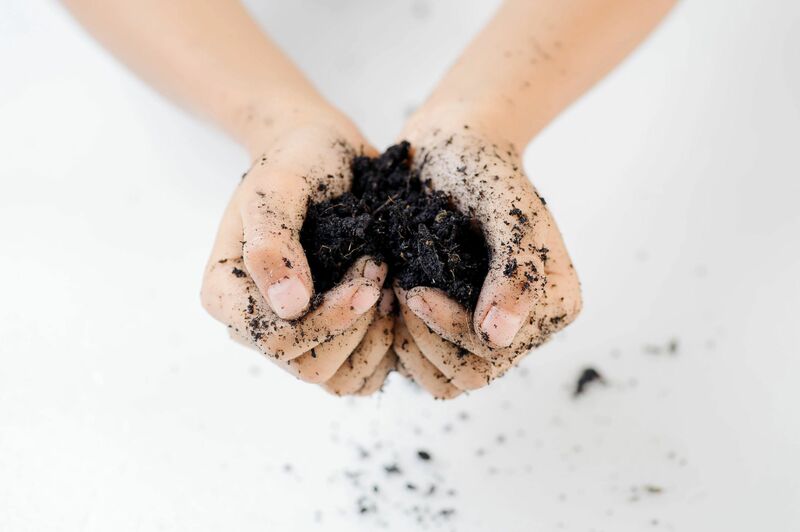 Contact us to find out more or simply to buy some compost for your flower beds and backyard! We offer our compost at a discounted price to our yard cleaning and bucket customers (You did help us make it, after all!) so be sure to buy your home compost from us if you are an existing customer. Green Pet Compost Company can provide all the nutrient-rich compost for your gardening needs! We also sell the compost we create, by the bag and by the yard. For our clients, bags are only $4 per 10 pound bag and $45 per cubic yard delivered. Contact us with your exact needs and we can get you a great price for any size project.